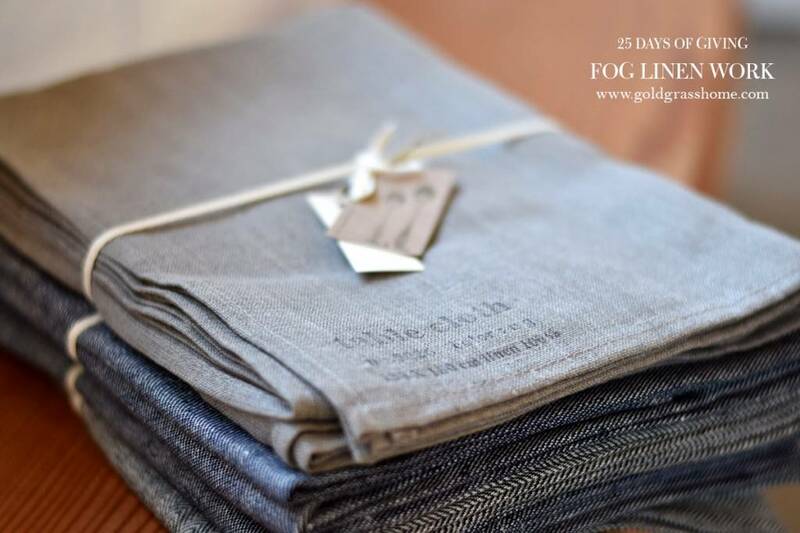 The designs of Yumiko Sekine, founder of Fog Linen Work, have been a crowd favorite at Goldgrass Home for the better part of a decade. And how could they not be? 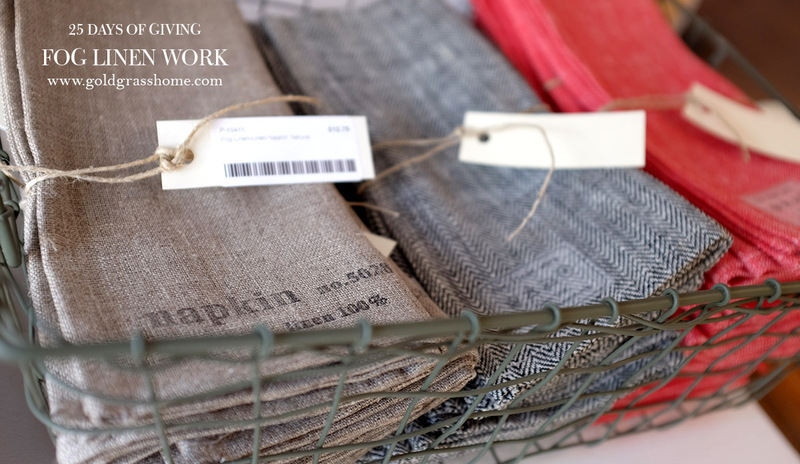 From the waffle towels to the tablecloths and napkins. From the linen slippers to the little bags and purses. They are the perfect combination of pure, natural linen, and the charming simplicity of Japanese design. They are timeless pieces. Stylish yet highly practical and functional. We often forget about linen. In a world of new-fangled materials, tech fabrics, Sham-wows, there is still nothing that beats the original. You probably don’t spend much time wondering why sheets, towels, napkins, and tablecloths are called ‘linens.’ Maybe it’s too obvious, once you think about it. But still, finding things made from authentic natural linen is not that easy. The rugged fibers just work, last forever and get softer with time. They are the real deal. And with the selection of patterns and designs, you’re sure to find a great gift for anyone that likes to decorate their table, kitchen or bath. Things are heating up on the 25 days of Giving Campaign. Not too many days left to find that perfect gift. But don’t stress. That’s why we’re here. By taking part, you’re not only getting awesome natural gifts for friends and family, and helping us support a great cause, you also get 10% off the daily feature, and now 15% of the sale will be donated to the Resolve campaign to end homelessness. And you’re also entering to win an Ultimate Spa Kit, valued at over $1000. It’s an amazing gift pack stuffed full of the world’s finest and most luxurious skin and spa products, bath linens and other goodies!